We are your one stop for Powerpoint presentation projector rentals! 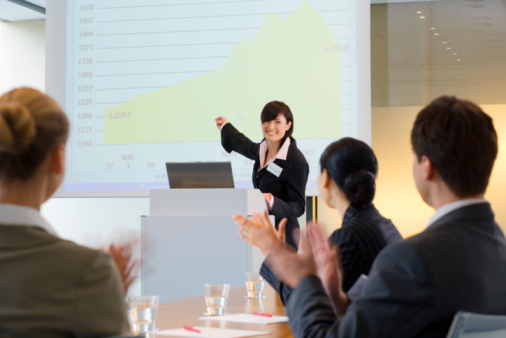 Powerpoint Presentation projector rentals can be used for workshops, keynote speakers, presentations and breakout rooms. You could also use projector rentals to gain the competitive advantage when presenting your products or services at your next trade show, projectors turn heads! Dazzle and captivate your potential clients and investors with clean, easy to read text and strikingly rich, bright colors! With almost 30 years in the projector rental industry, the agents at RentOurProjectors.com have the experience and knowledge to handle your Powerpoint Presentation projector rental needs from start to finish. Our customer service and reliability is what sets us apart from the other rental companies.